There's always been more to Jimmy Eat World than meets the eye. A key gateway band, the inherent pop nous of Jim Adkins' songwriting has always been allied to both lyrical and musical depth. 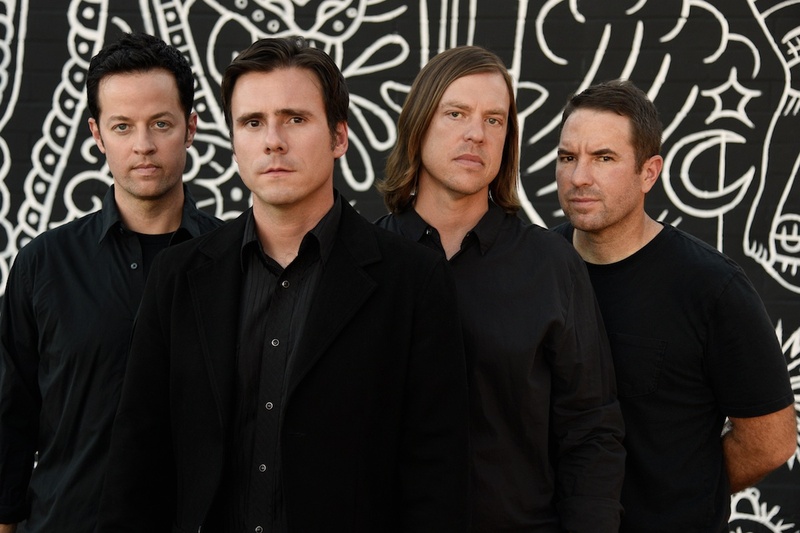 Taken as a whole, Jimmy Eat World's catalogue features some of the finest songwriting - pretty much bar none - of their generation in American rock music, tackling subjects rich in complexity while also supplying melodic thrills. Never a band to second guess, new album 'Integrity Blues' is out now, and it's a fine addition to their work, matching old highs while sketching out fresh directions. Clash caught up with Jim Adkins for a new instalment of Foundations. I remember being in the record store with my mum on the way to guitar lessons and she said, ‘you can buy one cassette’. I bought this one, and I think my life would have been much different if I had gone with something else. I mean just sound of that, just the production on it is still mind boggling today and it wasn’t easy to do back then you know. With all the video technology and the programming and the electronic side of it all. You can shred as hard as Prince and still be doing incredibly hard production. That’s a level that I’m still scratching my head on still. I’ve uncovered some things but other things are still a mystery. A lot of the rhythmic programming computer stuff is still somewhat a mystery for me, so hearing people shredding it on the programming side is impressive. I stuck with playing guitar growing up and there was a point where, after building some proficiency, I started to get more into the technical side of things. I wanted to learn more about it, but in exploring the dudes that were insane shredder people I kind of realised that, first off, I’ll never be that good of a technical player; and secondly, I didn’t really want to. Drive Like Jehu play that a came along at time when I was getting more into punk rock and the energy behind it mixed with the character of the guitar playing was like mind blowing. The choices of dissonance and aggressiveness. Dissonance and aggressiveness in the playing mixed with energy of the whole song and the attitude to those songs was like this perfect combination that really just got me excited. Again, I think it’s the songs and the choices in presenting the songs. It was smart pop songs. It was this extraordinary, kind of like an intelligent, cerebral presentation to it; I always like one for one. If you think of really pop, like the Ramones it’s really poppy - in the true sense of pop, it’s this catchy pop song, but it’s kind of really abrasive in sound. With ‘Seamonsters’, I think it’s a really intellectual and thoughtful presentation of some simple songs, simple ideas and it just really broadened my ideas for what songwriting could be. I’m in awe of his body of work. There’s just something about what he does that is unique to him. A character of quality that is honest and engaging and also challenging. And that has been kind of similar to the way we as a band approach what we like to do. You know if you’re honest with yourself about what you like and what you want to hear out of the work that you’re doing because that’s going to lead to an end result that is going to feel like you’re about to work and you’re going to be proud of. It all stems from there. I think that’s what people have connected with to us over the years. We have this insane fan base of people who are dedicated and you know we get that. There are people who will actively check out what we’re are doing regardless of whether we have a song on the radio or any sort of video that virility online and I think that comes from that really simple idea of just honesty with yourself first. I think it’s a really wonderful thing when you open yourself up to the possibility that maybe it’s OK if you end in a place that didn’t look exactly as what you had in mind. It sort of feels like an even greater accomplishment in that way, because you’ve created something way beyond your own imagination.